Team Rosters: Each team may have a maximum of 10 players enrolled. Game Duration: Each game will be played until one team’s players have all been put “out” of the game or 10 minutes has elapsed since the beginning of the game. 10 Second Violation: In order to reduce stalling, a violation will be called if a team in the lead controls all balls on their side of the court for more than 10 seconds. This also applies to teams in a tie situation. Time Outs: There are no team time outs. Player Return into a Game: “In” is the term that will be used to refer to a player’s return into the field of play. Players shall return from the Sideline Queue in the order they were put “out” (i.e. first “out,” first “in”). Referees: All games will be supervised by 1 Referee. The referee has the authority to rule on any aspect of the game and should keep a watchful eye for any violations that occur. Rules will be enforced primarily by the honor system. Players will be expected to rule whether or not a hit was legal or they were legally eliminated. Referees may also call players out if it is apparent to them that the player was hit, but then did not leave the playing area. The Head Referee will maintain the official scorecard and document the final score after the completion of the game. The Head Referee is empowered to call the game at any time for reasons of safety. THE HEAD REFEREE’S DECISION IS FINAL. All Players must honor all decisions made by the Referees. Here are 10 easy rules that capture the basics of dodgeball. 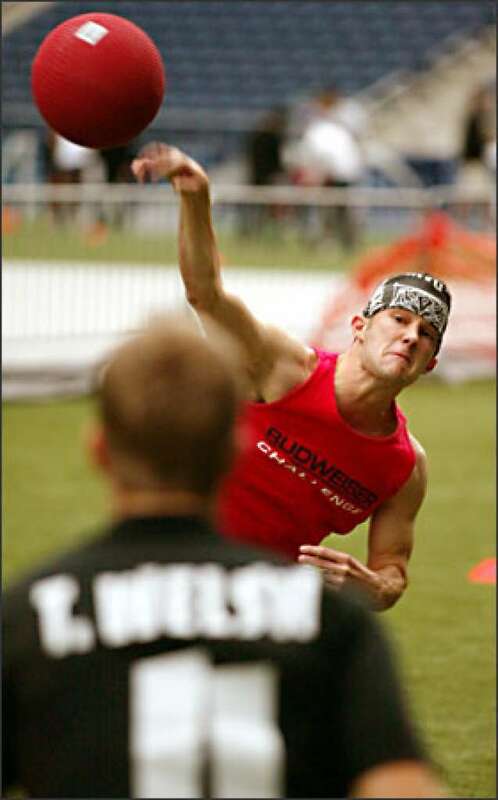 Dodgeball is primarily self-refereed, and played with the honour rules. During league play, there is 1 referee stationed at the end of the centerline, that help facilitate the game. A referee will start the game, confirm hits and catches, and count ball possession time. Have fun, shake hands, make friends and be spirited!